I have a problem! 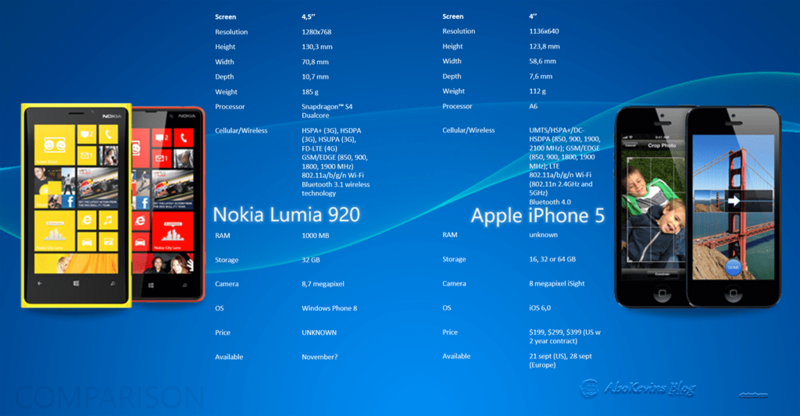 Today Apple introduced the new iPhone 5, and last week Nokia introduced its Lumia 920. Both their respective companies flagship phones, both good looking in their respective ways, but the question is : which one do I get? Of course todays announcement was filled with the usual Apple rhetoric; “Amazing”, “Revolutionary”, “Best ever” and so forth. That was to be expected. But how good is it? I was skeptical to it before the launch. Based on the rumors it only looked like a slightly stretched out iPhone 4S. So was there enough awe in there to justify the hype? To be honest, I am not quite sure. I was drawn in by the presentation – Apple really knows how to foster my Technolust, but it is still the same old Operating System, although with some new bells and whistles. When it comes to for example sharing photos, Apple seems to have taken a cue from the Windows Phone operating system, although the integration is no where near the way Windows Phone is. The camera has some new features, a new cover glass for the lens (! ), the processor is upgraded to the A6 chip and the phone has gotten longer, thinner and lighter. And there is LTE (4G) support. The connector has been replaced with the Lightning-connector and battery life is supposed to have improved. So what about the Lumia 920 compared to this then. Well, I find the Lumias looking better – way better, although I like how the iPhone 5 looks. Nokia really knows how to make hardware. How it will compare in battery life remains to be seen, but it definitely gives the iPhone its runs for the money when it comes to the camera and picture quality. I really like Windows Phone 7 and thus presume I will like the improvements coming in Windows Phone 8. It is a fresh take on what a mobile OS is, and with the integration with Windows 8 and the Xbox I think and hope Microsoft has a winner on their hands. But then again, iOS 6 has several years head start on Windows Phone 8, which is very obvious when it comes to the availability of apps. I’ve been an iPhone user since the 3G up until now. I’ve skipped the 3GS and the 4S, but are still heavily invested in iOS through several years of purchasing apps, music and video. Am I ready to switch mobile platform? I am not sure. The fact that it is only a couple of weeks until the iPhone 5 becomes available speaks in its favor. But then again, those Lumias really look great. To help in comparing the phones I have made this chart with the help of my talented son Kevin who made the background picture. I will write up a post later on when I have decided and purchased my next phone. until then tell me what you think in the comments section below. iPhone 5 or Lumia 920? Why?